Located on the mountain of Parnassus, above the Gulf of Corinth, are the ruins of Delphi. Delphi is about 100 miles northwest of the city of Athens and is in the center of Mount Parnassus. 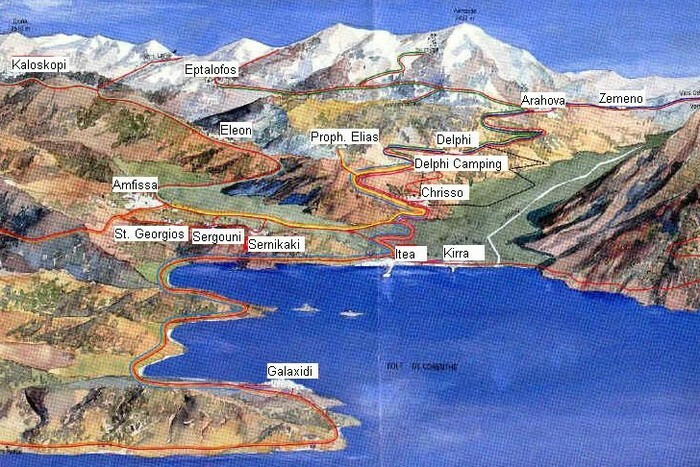 Delphi is on the left side above Olympia. 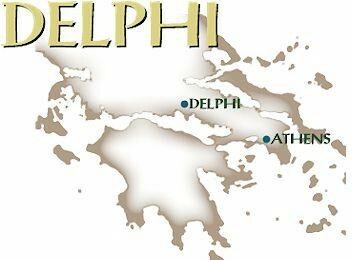 Delphi is 100 miles northwest of Athens. Delphi is located at the middle of Mount Parnassus. Delphi is the ruins of a temple on an outcrop off of Mount Parnassus. Around Delphi there are the remains of an excavated village. 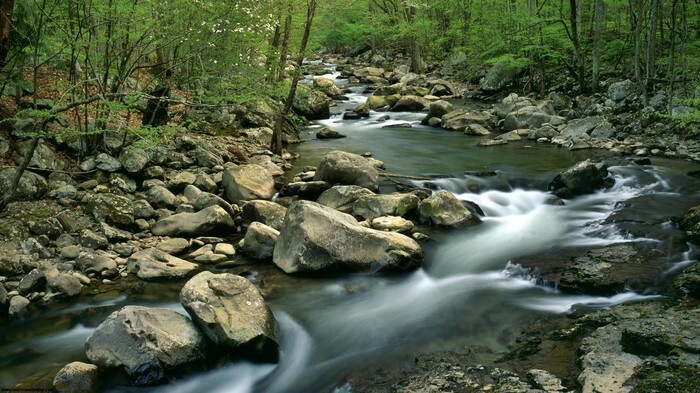 Nearby there are two springs: the Castilian and the Cassatas. 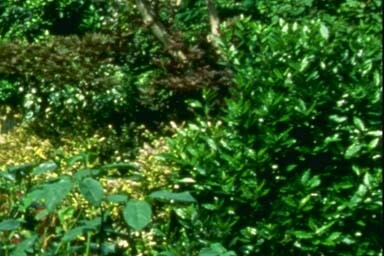 In the center of the ruins there is a stone. This stone is called the Omphalos Stone, supposedly where Apollo struck down Python (see History). There is a center platform in the middle of the ruins where the temple was located. The ancient Greeks believed that the ruins of Delphi were first made for the Earth goddess Gaea who had her son, Python protect it. That is why the temple was first called Pytho, not Delphi. 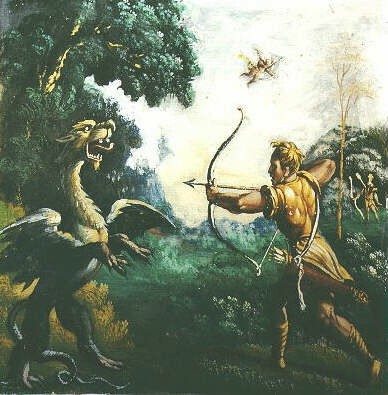 This changed when Apollo, the Sun god and god of Prophecies killed Python. 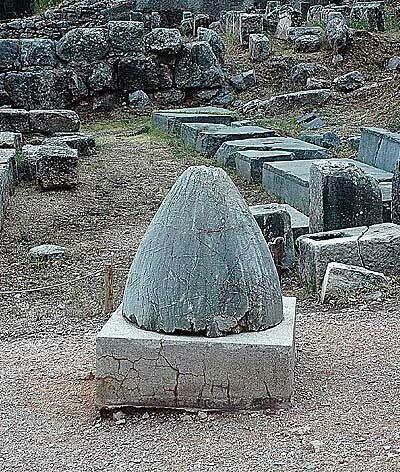 The Omphalos Stone represents the spot where he was slayed. Using the Omphalos Stone, Apollo got permission from Zeus, the Sky god, to make the first Oracle. 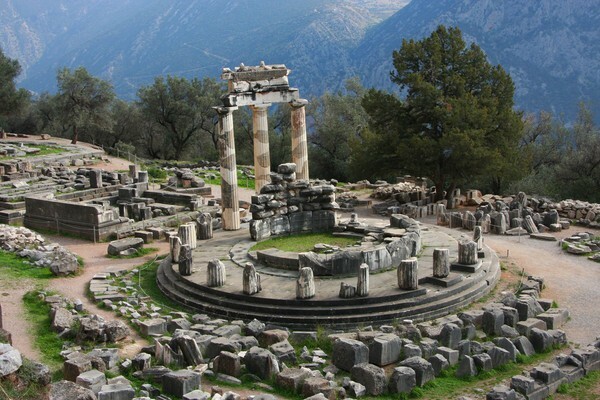 The first Oracle was called Delphi, which is why the ruins today are called Delphi. Archeologists think that the ruins of Delphi were thought to have been inhabited between 1500 B.C to 1100 B.C. It was first excavated by French explorers in 1892, then by the rest of the world. 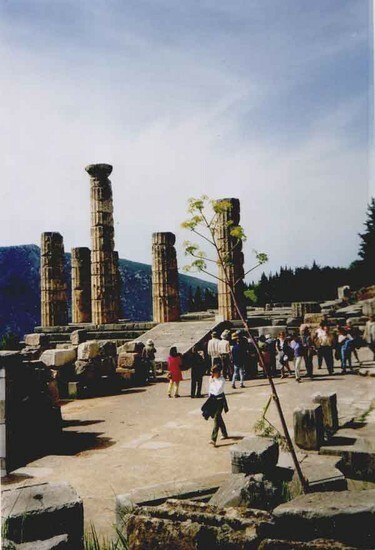 Today Delphi is a tourist site that vacationers visit on trips to Greece. To Whom is it Sacred? The Greeks consider this area sacred because their Gods were worshipped here and the first Oracle was formed. Today though, the Greeks do not consider it as much of a religious site than a tourist attraction although it was once a temple of the Gods. The ancient Greeks held high regard for many temples and shrines of their time, like the Athena Parthenon, although today they are mostly tourist sites. This temple is sacred for two reasons. One, as shown in History is how Apollo fought Python and defeated him, forming the firt Oracle and claiming the temple for the Oracle, Delphi. That is one reason why the temple is sacred to the Greeks. The ancient Greeks prayed and worshipped the gods, mainly Apollo here if they wanted insights to the future. The second way this area was sacred was taken by following a few certain steps. First, if you wanted to have visions of the future you would have to be at the ruins. Once at the ruins the person would bathe in the sacred waters of the Castilian Spring. 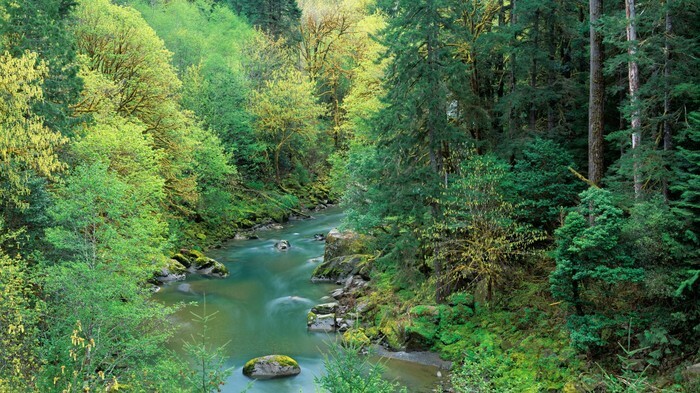 After, they would drink from the Kassotis Spring. Following that they would sit in meditation near the Omphalos Stone and inhale fumes from a burning laurel bush. It is said that they would then recieve visions of the future that would help them in their lives. 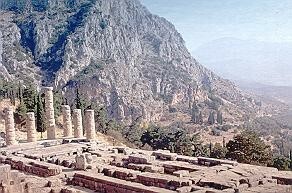 That was why the ruins of Delphi were sacred, especially to the Ancient Greeks.